Bigelow Advises ABCO Welding & Industrial Supply, Inc. on its Acquisition By Airgas, Inc. - Bigelow LLC. ABCO (www.abcodelivers.com) is a 90-year old family-owned supplier of industrial, medical, and specialty gases along with welding, safety, and industrial supplies. 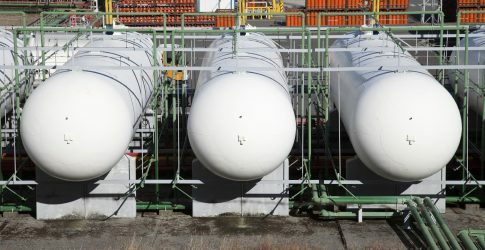 With 12 retail locations in Connecticut, Massachusetts, Rhode Island, and New Hampshire, it is recognized as the leading independent industrial gas distributor in its region. The Company has over 10,000 active customer accounts, leases approximately 100,000 gas cylinders, and owns over 100 bulk installations. The Company’s differentiation is its unusually high level of customer service through experienced and knowledgeable employees, advanced engineering, consulting services, and the ability to provide same or next-day delivery and service. Airgas (www.airgas.com) and its subsidiaries is the largest U.S. distributor of industrial, medical, and specialty gases, and hardgoods, such as welding equipment and supplies. More than 14,000 employees work in approximately 1,100 locations, including branches, retail stores, gas fill plants, specialty gas labs, production facilities, and distribution centers. Airgas also distributes its products and services through eBusiness, catalog, and telesales channels. Its national scale and strong local presence offer a competitive edge to its diversified customer base. RAPID's Founder (and majority shareholder) was evaluating his ownership and role with the Company; with his sights set on other entrepreneurial and eco-conscious interests. RAPID had recently experienced significant revenue growth and required future investment to maintain its competitive position. With Bigelow's coaching, the Founder prompted certain members of senior management, removing himself from the day-to-day operations and making possible a transition away from the Company upon a transaction. It was essential to find an investor who would support the management team and the future growth opportunities they wanted to pursue.